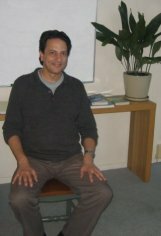 My name is George Gintilas and I work as a Body Psychotherapist in Melbourne Australia. I have been in private practice for 28 years. I work from and run the Elwood Centre for Wellbeing. My work is based on Energy, Mindfulness, Somatic and Body Psychotherapy. This is a powerful therapeutic modality and tool that can help assist you in many ways to take control of your life, release limitations, rapidly improve your health and enhance your wellbeing more than ever before. I combine it with the very popular and effective P.S.H. Therapy as well as other therapeutic modalities I have trained in and have practiced for many years now. A brief 2 minute overview of my work. Feel free to email anytime with any comments, questions or feedback. More information is available on my blog.